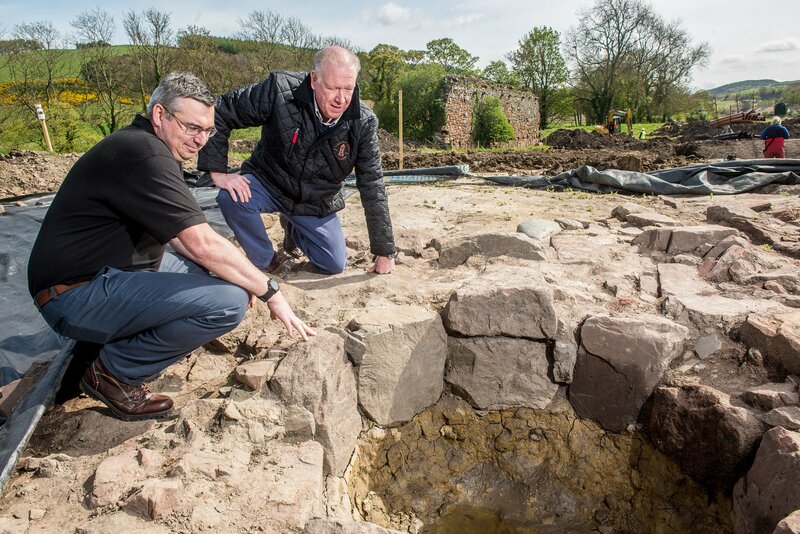 A medieval structure, believed to be the remains of one of the oldest whisky stills ever discovered, has been unearthed at Lindores Abbey. During the archaeological dig, experts uncovered what they believe to be an installation that was used for the distillation process during the Middle Ages. The stone structure has been excavated and found to contain traces of charcoal, barley, oats, wheat and pottery that have been dated back to medieval times, when the monks first began to distil their bols of malt, the product that we now know as Scotch whisky. The structure was unearthed next to the site of the original grain store, suggesting that grain was essential for its function. Lindores Abbey, located in eastern Scotland, was founded in the late eleventh-century for the Tironensian Order, also known as the ‘Grey Monks’. The monastery was attacked and destroyed in the sixteenth-century, but some parts of the original structures remain. It is now home to Lindores Abbey Distillery.